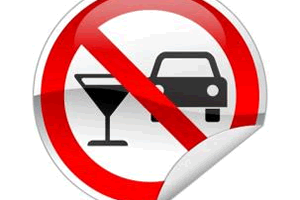 Can a DUI affect my credit score? - Answer from MyDuiAttorney. 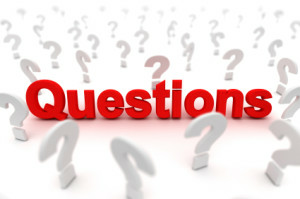 Home › Questions › Can a DUI affect my credit score? Can a DUI affect my credit score? Although a DUI conviction tends to affect many things in your life, the likelyhood of your DUI conviction affecting your credit score is minimal. Usually it will not show up on a credit report, as a conviction stays on your criminal record held within the Department of Justice. Eventhough it may be disclosed when a backgroud check is run, your DUI conviction will have nothing to do with your financial responsibility. It is important to note, however, that some circumstances may affect your credit score indirectly. Let's say you decide to not pay your fines and/or restitution stemming from a DUI conviction, then your credit would definitely reflect upon you in a negative way. This would cause you to be in violation of probation, and the court can send the case to a collection agency who will then report delinquent debt to all major credit reporting agencies. If you are facing a lawsuit that stems from a DUI for property damage or injury to another person, a judgment against the DUI defendant will be reported to all the credit bureaus. This would be the reason priortity is placed upon responding to lawsuits, because failure to do so results in a default judgment and your credit is most definitely affected. However, if you respond and either of you wins the case or it is dismissed, your credit score will not be affected. Lesson here is to always respond and follow the process of coming to a conclusion, because even if you lose the case you will be protecting your credit score. 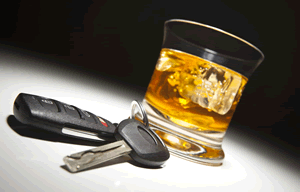 As you most likely have already discovered, your DUI conviction affects many facets of your daily life and routine. Whether you are applying for a job, moving from one state to another, seeking to update your driver's license or reinstating it in your current State or a new one, you now have many layers of processing information and coming to the desired end result of having your necessities met. Suffering from a DUI conviction will also require you to deal with increased premiums on insurance. While this does not specifically or directly affect your credit score, money spent on the increase premiums could have been allocated towards other financial necessities and responsibilities in which you may not be able to afford now. This could result in affecting your credit score inderectly, through means of not being able to fulfill financial obligations. Even for a first offense without wreck or injuries, the fees attached to a DUI or DWI conviction will most definitely affect your financial flexibility. Some of the costs include, but are not limited to, fines and court costs, alcohol educational classes and convience fees, attorney fees, increased insurance premiums, a bail bondsman, impound fee for your vehicle, monitoring, even a monthly fee for having to participate in a community service program. If your DUI conviction includes injury or death due to a crash, you could be held responsible for huge fines, paying restitution for property damage, and even being sued in civil court with a judgment against you having high fees attached. Should you not have the cash to cover these expenses and default to charging them, this could lead to a significant decline in your credit score. They increase your utilization ratio, which is the amout of abailable credit you are currently using. The amout owed on accounts makes up approximately thirty percent of your overall score. Any unpaid fines will be sent to collections, and that will have a major negative impact on your credit score. Remember, collections will remain on your credit score for seven years. Depending on your particular circumstances, a judgment can significantly hurt your credit score, as they remain as a public record on your credit for seven years whether they have been paid or not. It would be very wise to hire an experienced attorney to help you navigate your specific case and identify how your particular credit score may, or may not, be affected by your DUI conviction. Can a DUI lawyer help me? Can a DUI affect my college acceptance?